With this post, we begin to look at the best commentaries on the Old Testament Prophetic Books. For a good introductory overview of these books, I would recommend O. Palmer Robertson’s The Christ of the Prophets. Of all the eighth century prophetic books, none matches the sheer scope of the book of Isaiah. 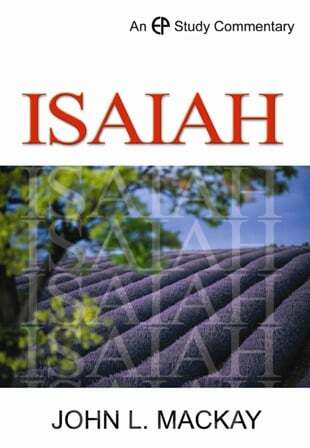 His book covers the common prophetic themes of impending judgment and future restoration, but Isaiah also focuses much attention on the coming messianic King, the servant of God. Isaiah’s significance may be seen in the fact that his book is quoted in the New Testament more than all of the other Old Testament prophets combined. There are a number of quite helpful commentaries on this prophetic book, and the following are five of the best. 1. J. Alec Motyer — The Prophecy of Isaiah: An Introduction & Commentary (1993). The best commentary on Isaiah, hands down, is Motyer’s stand alone volume published by InterVarsity Press. It is semi-technical, so those who are not trained in the biblical languages may find some sections more difficult than others, but the wealth of exegetical insight is worth the effort. For those who would like to gain the benefits of Motyer’s work without the technicalities, he has also contributed the volume on Isaiah to the Tyndale series. This smaller volume is not simply a summary of the larger work. Motyer went back to the text, and this smaller volume contains many helpful insights not found in the larger work. 2. John Oswalt — The Book of Isaiah, Chapters 1-39, The Book of Isaiah: Chapters 40-66 (New International Commentary on the Old Testament, 1986, 1998). 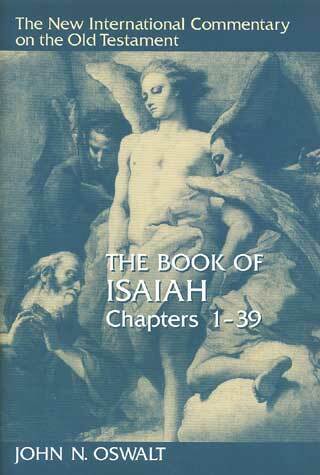 The completion of John Oswalt’s commentary on Isaiah in 1998 was a major blessing to the Christian church. This work, which replaced E. J. Young’s older three-volume commentary on Isaiah in the NICOT series, is a model of careful evangelical scholarship. It should be on the desk of every student of the Old Testament. It should be consulted along with Motyer. Oswalt has also written a less technical commentary on Isaiah for the NIV Application Commentary series. This volume does not replace the larger two-volume work, but it will be of use to busy pastors. 3. Edward J. 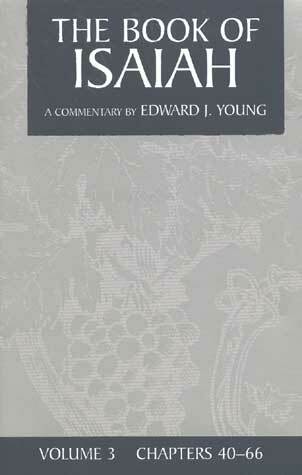 Young — The Book of Isaiah (New International Commentary on the Old Testament, 1965, 1969, 1972). Edward J. Young was one of the founding faculty at Westminster Theological Seminary and taught Old Testament there for many years. His massive three-volume commentary on Isaiah is something of a modern classic among Reformed students of Scripture. It has been replaced in the NICOT series by the fine work of Oswalt, but it should not be relegated to the dust bin. There is much of value in these volumes. 4. John L. Mackay — Isaiah 1-39 (EP Study Commentary, 2008). This new commentary in the EP Study Commentary series is not yet complete, but based on the first volume, it will be a standard work for many years. It is long at 864 pages, but it is not overly technical and should be accessible to most pastors. Mackay works through each section of the book, verse by verse, and concludes with practical reflections. 5. Barry Webb — The Message of Isaiah (The Bible Speaks Today, 1997). Those who are looking for a brief non-technical commentary on the book of Isaiah would do well to consider the volume by Barry Webb in the Bible Speaks Today series. Although the series does not give the space to go into great detail, Webb makes the most of it and offers very illuminating insight into the text. There are a number of other helpful commentaries on the Book of Isaiah, including those by Geoffrey Grogan, J. Ridderbos, Allan Harman, Derek Thomas, and Bryan Beyer.